shop joielle: $1000 Giveaway with Jewelry Designer Shane Co.
$1000 Giveaway with Jewelry Designer Shane Co.
We're partnering up to for another fabulous $1000 giveaway, this time with jewelry designer Shane Co.! 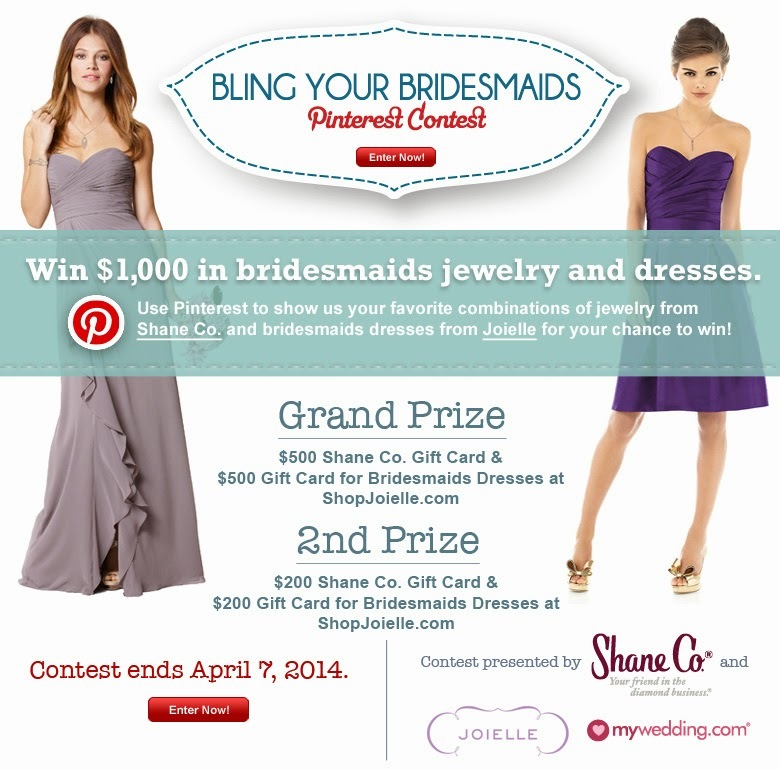 Their Facebook page has instructions on how to enter by using Pinterest to make a board with all your favorite Joielle dresses and Shane Co. jewelry. We'll be picking two lucky winners for a grand prize and 2nd prize. Good luck!